What's with the influx of idols in the K-drama-sphere? This article is taken from Joongang Ilbo/joinsmsn. It does not represent our writers’ opinions but I thought it interesting to crosspost it on Seoulbeats. Also translated by yours truly! Our TV screens are afire with K-pop singers these days. Headlining the current idol wave are upcoming dramas, KBS2 TV’s “Dream High”, SBS’ “It’s Okay, Daddy’s Girl” and MBC’s family sitcom “All My Love”. These ambitious plotlines from Korea’s three main networks are to be played out by a host of K-pop idols. 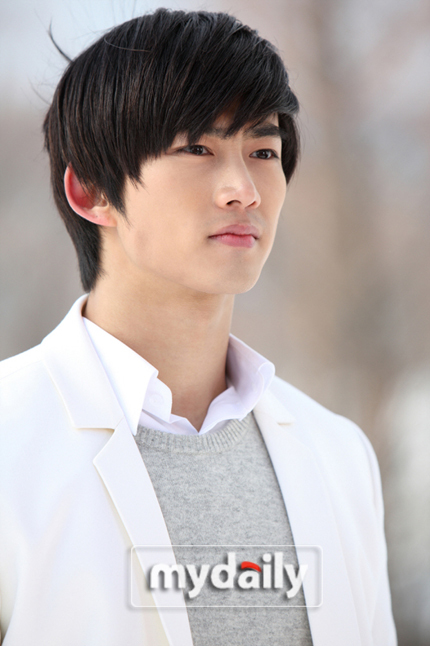 Taecyeon, along with Wooyoung, T-ara's Eunjung, IU, JOO and miss A's Suzy will star in "Dream High". The story revolves around idols and their dreams and aspirations. Putting popular stars in drama lead roles can attract more sponsors which then aids the costs of production. And that’s what makes such decisions uncommon, as evidenced overseas, in the Japanese and Chinese drama markets. Originally from Baby V.O.X, Lee Hee-jin stars with Super Junior's Donghae, C.N.BLUE's Kang Min-hyuk and 4Minute's Nam Ji-hyun in "It's Okay, Daddy's Girl". The story depicts the difficulties a family faces when their head of household gets into an accident. Up until recently, people would often dismiss singers-turned-actors. However, with Girls’ Generation member Yoona‘s appearance in “You’re My Destiny”, Kim Hyun-joong in “Boys Over Flowers”, Jung Yong-hwa in “You’re Beautiful” and Taec in “Cinderella’s Sister”, singers have been demonstrating commendable skills in acting. Some have even received good critiques. A drama in this midst that must be mentioned is recently wrapped up “Sungkyungkwan Scandal”. With Park Yoochun in its lead role, he has given a good portrayal of the main character’s intricacies, exemplifying a professional actor’s efforts. This swept away the initial doubt many had when he was picked for the role. Currently featured as a make-believe couple on "We Got Married", Jo Kwon and Ga-in will play a pair of twins in "All My Love". Acting alongside them is fellow idol and BEAST leader Yoon Doo-joon. This trend of casting idols may be on the up-and-up, with profits to flourish along with all things Korean going glocal but it comes with a price. By putting less-experienced actors in the spotlight, the quality of dramas is assuredly and significantly lowered.